Royal Enfield continues 2017 with a strong sales performance and posted sales of sales of 64,459 motorcycles in combined domestic wholesale and exports in the month of July, recording a growth of 21% over same period last year. The 14th edition of Royal Enfield Himalayan Odyssey was culminated successfully at Chandigarh on July 23rd, 2017. The 61 riders, including women, rode from Delhi to Khardung-La began on 8th July from the iconic India Gate. The riders rode across 18 days travelling over 2,300 kilometres. The riders reached Leh on July 13 and proceeded to Khardung-La on the July 14, and further began to descend from Debring covering Kaza and Keylong before reaching Narkanda. This part of the ride is considered to be one of the most challenging as riders constantly have to face quick changing weather and difficult riding terrains. The second edition of ‘Scramble’, Royal Enfield’s new ride format for adventure enthusiasts will be held at Ropar, Punjab from August 23 – 27th, 2017. The ride will comprise of 25 teams of two each, who will be competing with each other during the three days of the ride. On each of the three days, the teams will be given new challenges to complete, that will include obstacles and choices based on the game theory. Each challenge will have separate points in a TSD (Time-Speed-Distance) format basis which the winners will be decided. 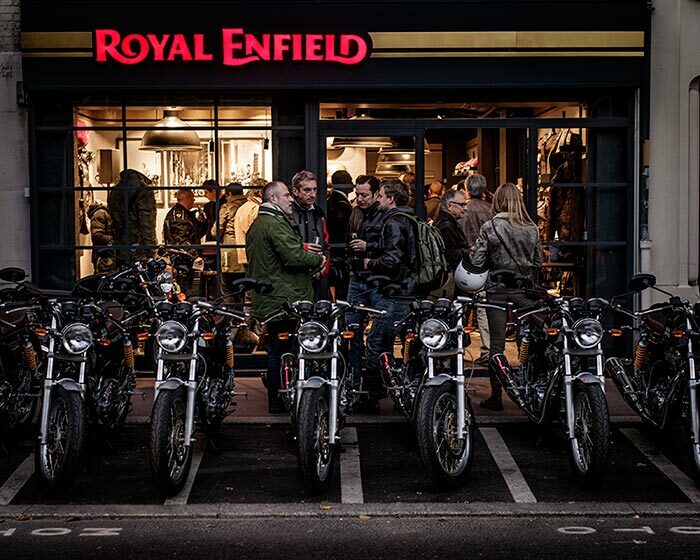 With a growing interest of enthusiasts in the adventure motorcycling segment, Royal Enfield Scramble is a new initiative that encourages customers to experience adventure motorcycling in a non-extreme yet a competitive format.